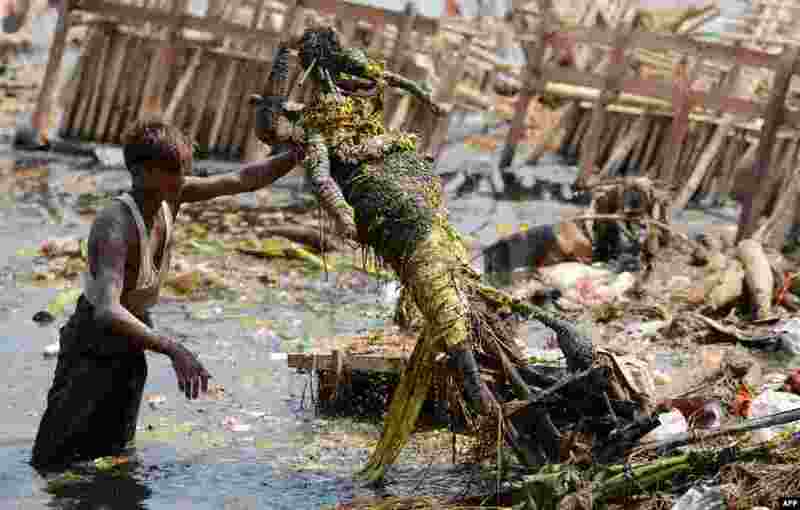 1 Workers remove religious offerings and frames of the idol of goddess Durga, which were immersed in the Yamuna river after the Durga Puja festival in New Delhi, India. 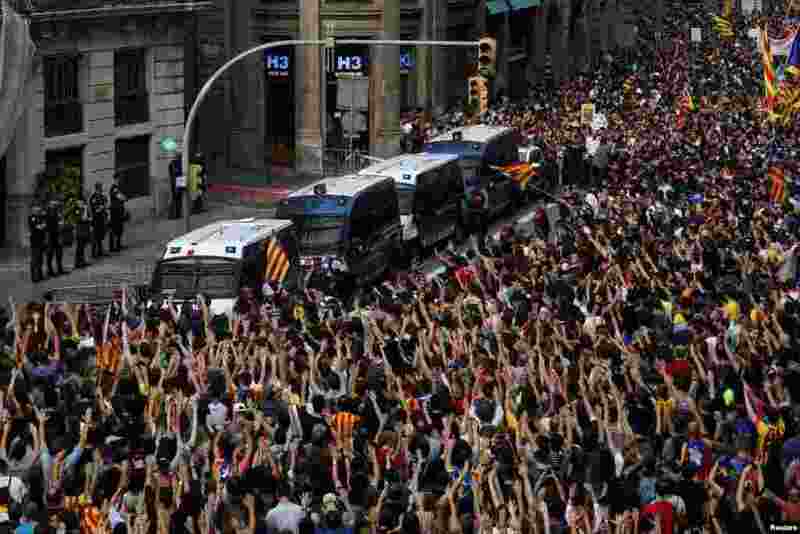 2 People shout during a protest outside the Spanish National Police Station in Barcelona, Spain. 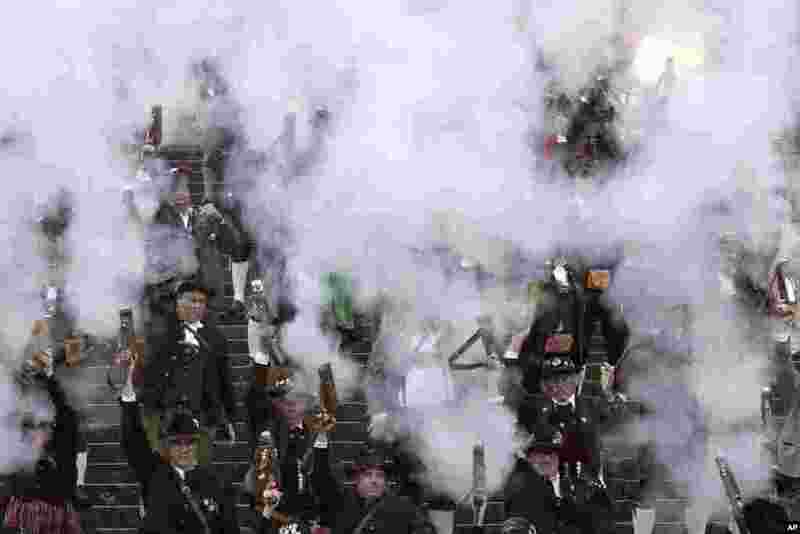 3 Bavarian riflemen and women in traditional costumes fire their muzzle loaders in front of the 'Bavaria' statue on the last day of the 184th Oktoberfest beer festival in Munich, Germany. 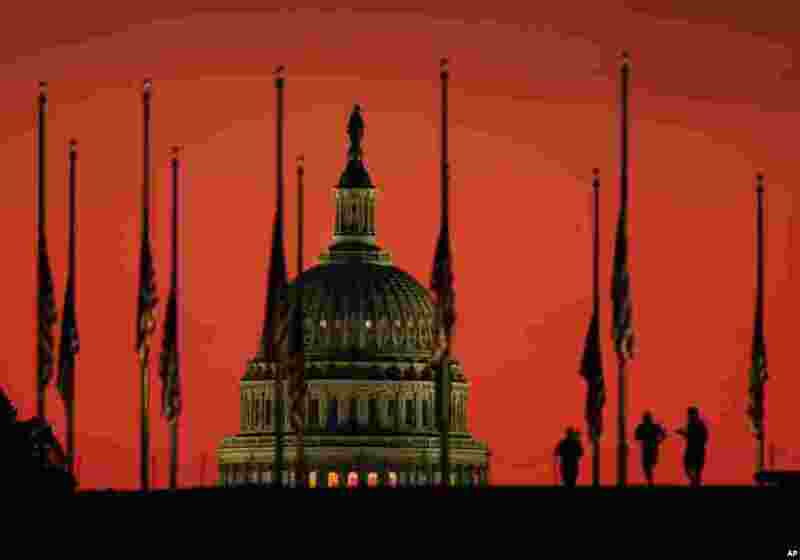 4 The U.S. Capitol dome backdrops flags at half-staff at the foot of the Washington Monument on the National Mall in Washington, in honor of the victims killed in the Las Vegas shooting.